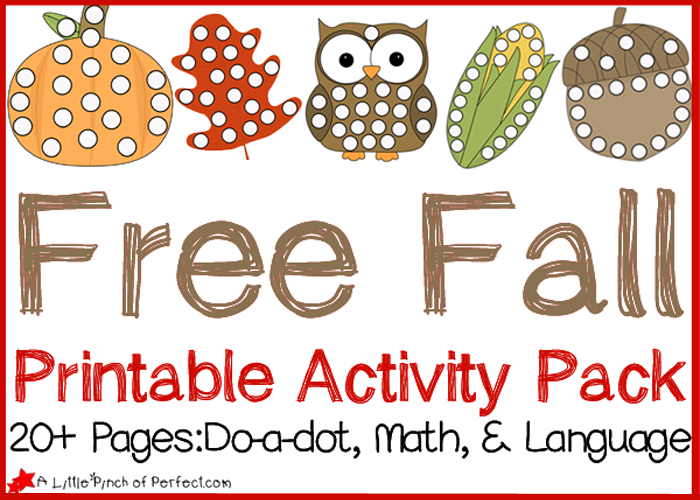 Today I am excited to be sharing our free fall printable activity pack loaded with colorful leaves, owls, acorns, pumpkins, and owls. The pack includes 20+ pages for your kid’s to enjoy. 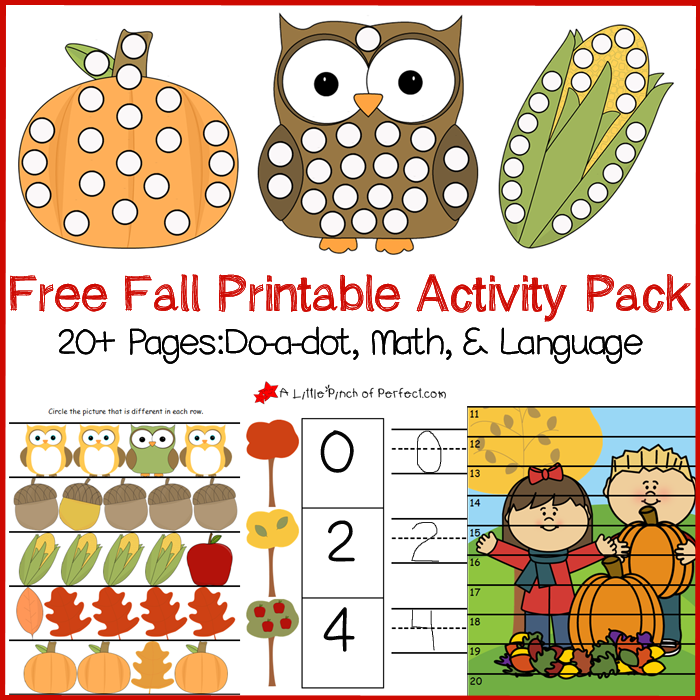 Some activities can be reused like our autumn do-a-dot pages, number puzzles, sorting, and writing to use all season and the other pages that require scissors and glue can be printed out and repeated as many times as you would like. 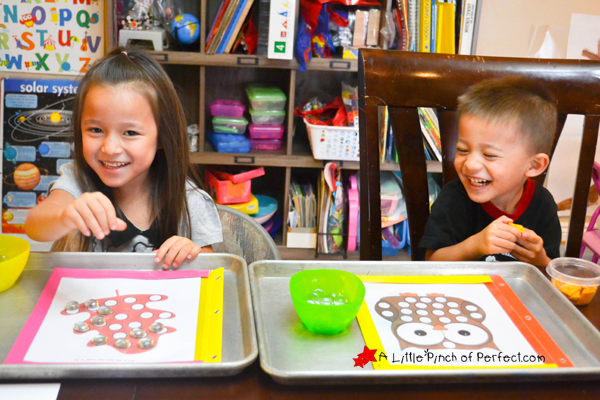 The do-a-dot printables are perfect for practicing fine motor skills and counting. 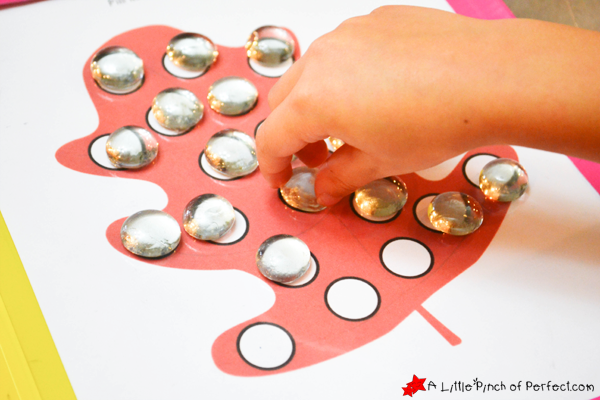 Kids can use Do A Dot Markers (affiliate link) or small manipulatives (glass gems, stickers, buttons) to place on each dot. Each image has 20 dots, so after they have all been filled kids can remove them and practice one-to-one correspondence and counting to 20 or they can do two pages and count to 40. Little Dragon is working on counting to 20 and little Tiger is working on counting to 40. They have so much fun doing the same activity together! If your child is having difficulty or getting frustrated, use a light colored marker to write the answer for them, and then have the child trace over the marker. Graphics by mycutegraphics.com and Prettygrafikdesign. While you are here, take a look at more of our Free Printables. Thanks for learning with us today! Please click here to sign up for our weekly newsletter and follow us on Facebook, Pinterest, Twitter. Thank you for sharing this with us on Frugal Family Linky this week. This looks like a wonderful resource for parents! Thank you for stopping by the Learn & Play Link Up! Your post is featured on Christian Montessori Network. Have a great week! So excited to use some of these wonderful ideas with my 3's! Thank you so much for sharing.